Hostel AndMar Cienfuegos in Cienfuegos is a cozy, clean and comfortable private home, rented by its hosts Margarita and Andrés, it has 2 spacious rooms located on its upper floor with an independent entrance from the living-room, each room one is equipped inside with TV-DVD, Minibar and Air Conditioning, and they have their private bathroom with hot water. One of the rooms has access to a front balcony overlooking the street; it is spacious, bright and airy, ideal for relaxing, sunbathing, reading, or just chatting with a refreshing drink. 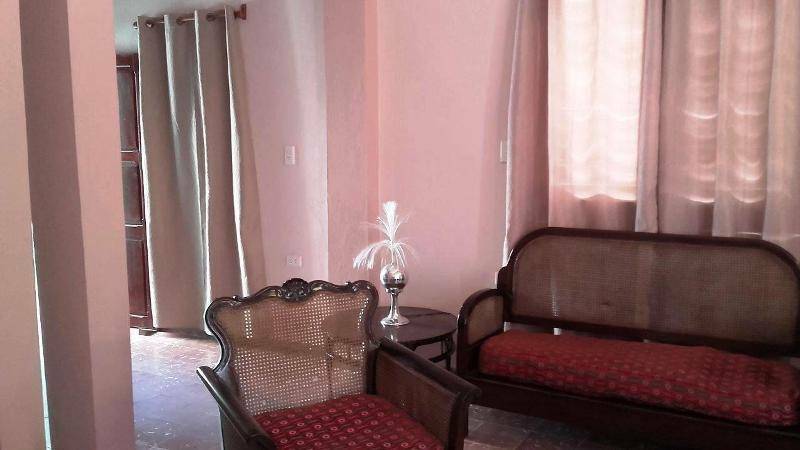 The dining room on the lower floor is also available to receive visits or share with your hosts, this has a comfortable game room with TV, and a dining room where you can receive an excellent additional breakfast service with abundant tropical fruits and juices, sandwich, milk, eggs and good Cuban coffee. They speak Spanish and English. 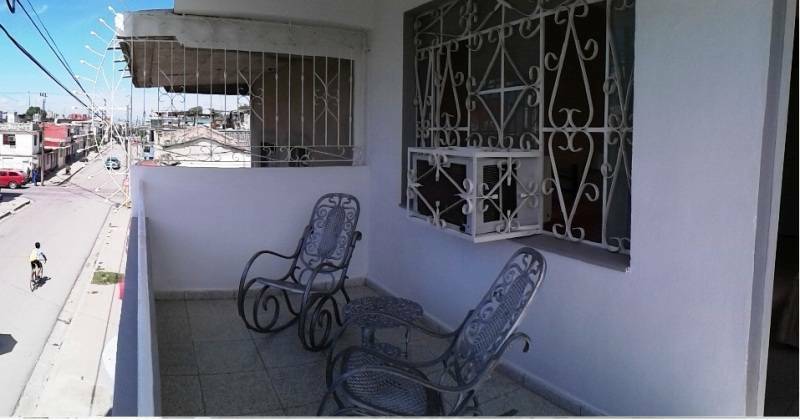 The house is located in a quiet and central district of the city, 300 meters from the ¨Viazul¨ bus station. 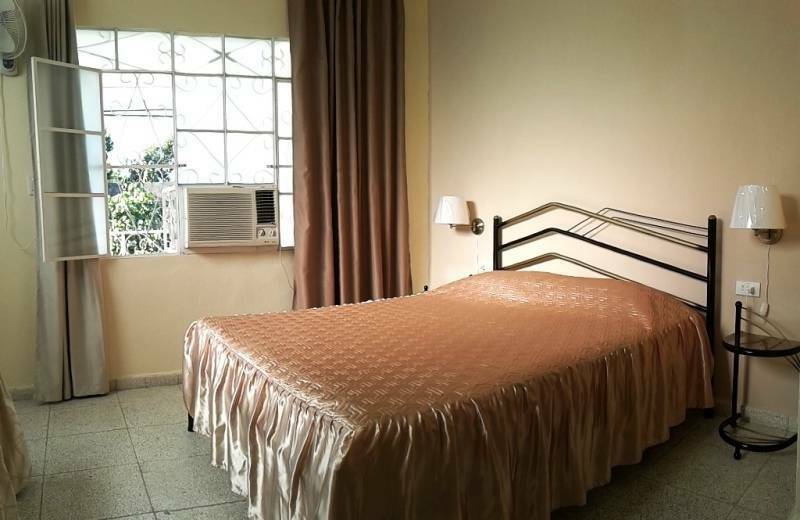 Walking in a few minutes -600 m-, you will find the main street "Paseo del Prado" and the Boulevard with nightclubs, shops, bars, restaurants with music and traditional Cuban food, and services for car rental, banks and tourist information. A little further on, in the historical center, as an eclectic city founded by the French and excellent conservation, you will be seduced by its architectural beauty. The bay with its boardwalk, is perfect for diving, boat trips and other water sports, in the afternoon you will witness a wonderful sunset over the sea. Mini map printed with the main tourist attractions of the city, indicating the Hostal AndMar as point of reference. Sending by e-mail of offers for excursions and coordination of the same prior to their arrival. Transport from the airport to the Hostel. Breakfast service with prices of 3 or 5 CUC / Person. Laundry service with minima prices. Excursions to nearby tourist places, with return and same day, there are several offers with prices depending on the place. Secure garage located next to Hostal 2 CUC / night. Transportation from the Hostel to your next destination. 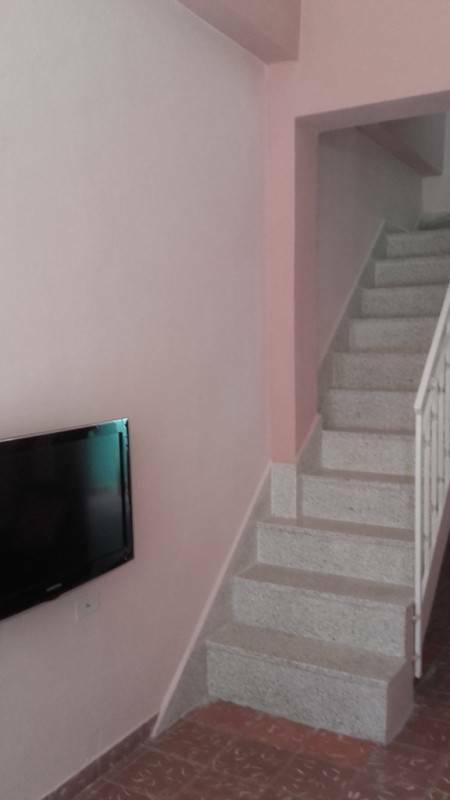 The two rooms (14m² each) are in excellent condition just finished to be built and decorated. The windows and doors offer ventilation and natural lighting, with total security because of being made of iron and glass. Turn blackout curtains will allow you to sleep in total darkness if you wish. Each room has a private bathroom inside, hot and cold water, air conditioning, minibar with different drinks, TV with DVD, hairdryer and other facilities. However, on the ground floor there is a large, quiet and airy 30m² living room, where you will be totally independent from the rest of the house. Here you can read, smoke, drink and share with your friends or chat with your hosts. Once you stay in, you can enjoy a quiet area. You will feel very safe and begin your journey. You will never seem lost or passed through the place. The straight path of the city streets will help in your location. They are like a chessboard. We can also provide you a tourist mini-map of the city taking as a point of reference our hostel or guiding you about what to do or see. If your stay is short, we also show you the minimum time routes. You will be located very close to the tourist attractions.